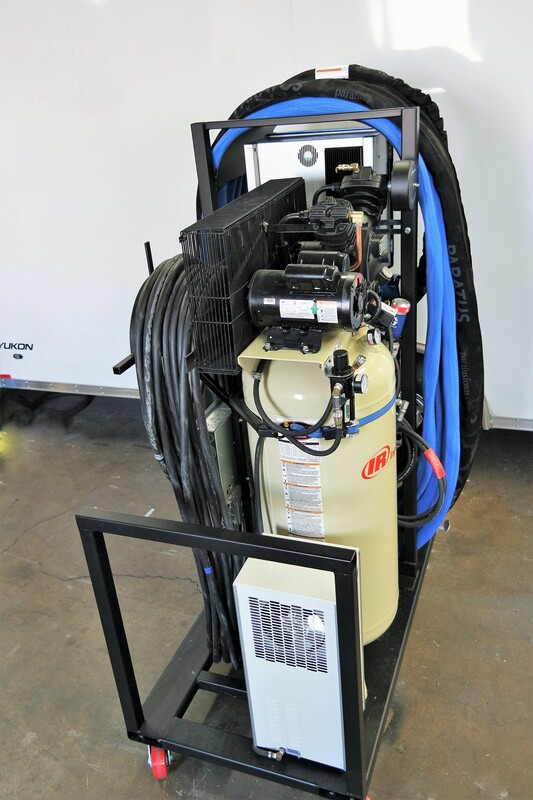 The XM Portable Spray Foam Machines provides a solution for spraying foam on job sites that cannot be reached by a full size Spray Foam Rig or Truck. Some of these jobs would include high rise buildings, roofs, or even shop applications. 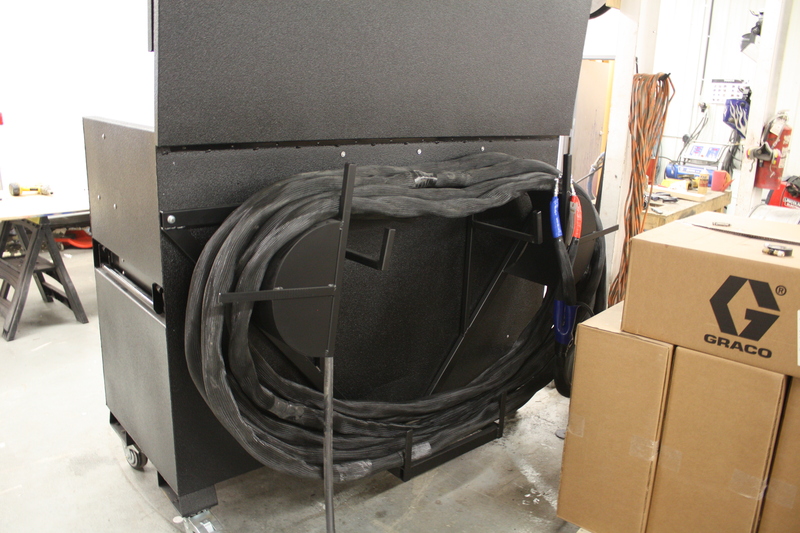 This unit can also be used in all other normal residential and commercial applications as well. 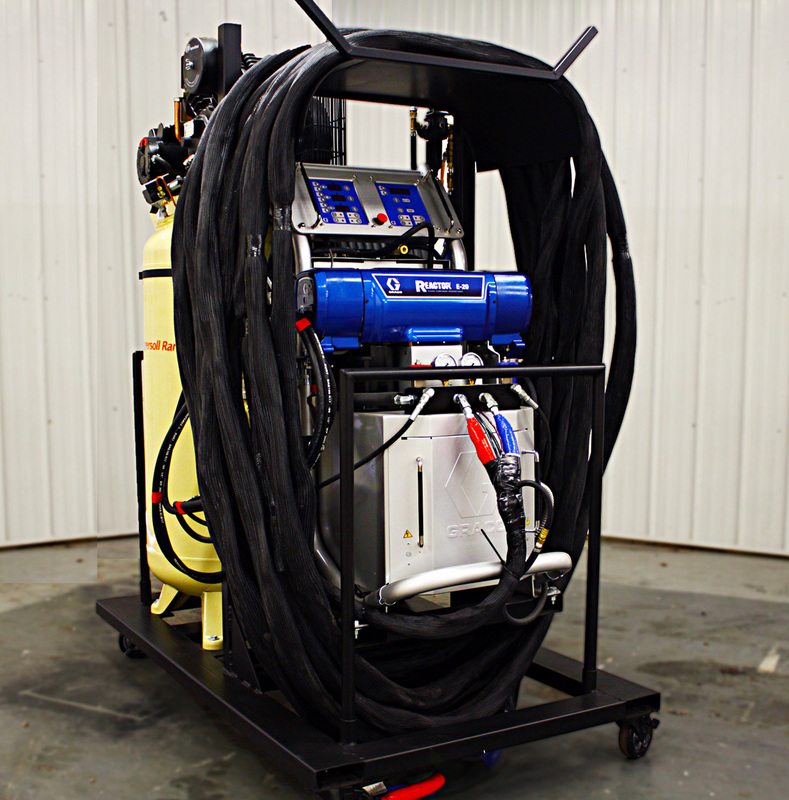 Furthermore, The XM Portable Spray Foam Machines are small, portable, but still packs the punch as a larger Spray Foam Trailer or Truck! 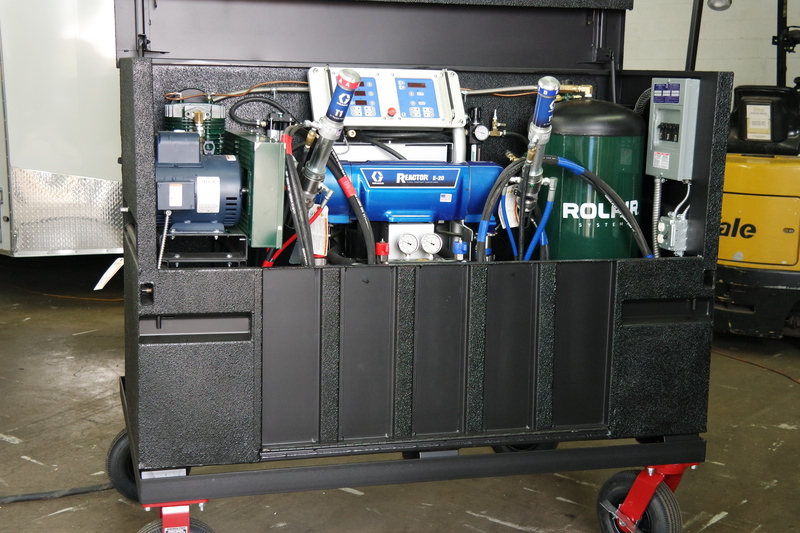 This spray foam Equipment set up is great to add to any Spray Foam Rig Fleet. 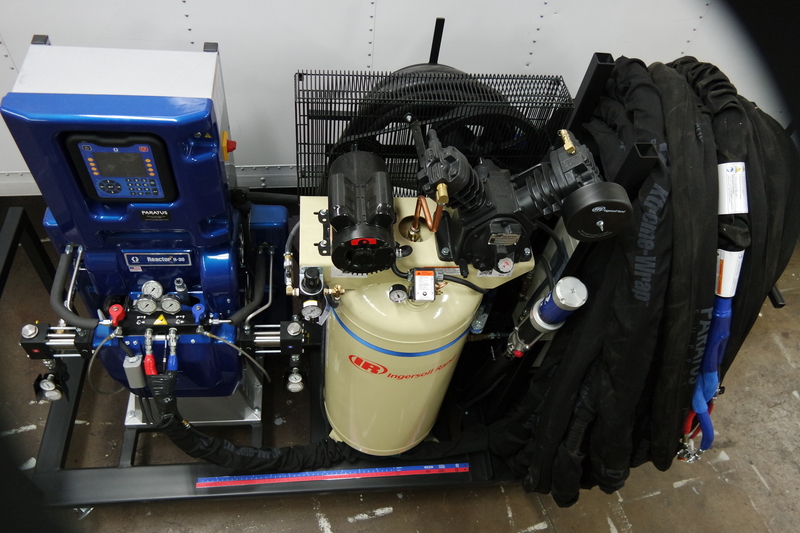 The Graco Spray Foam Machine options are limited to the E-20 and E-XP1, because of the limited space in the Gang box used for this setup. 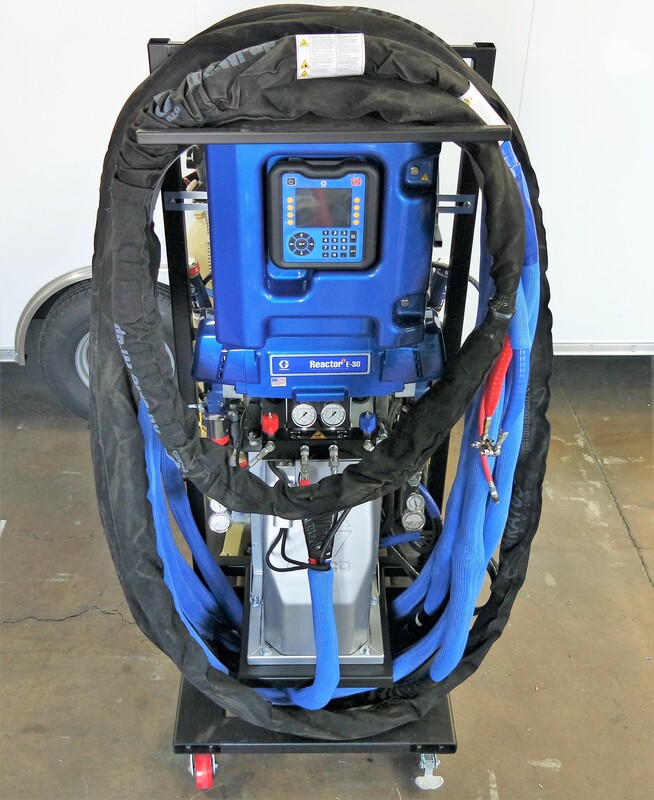 If you are looking for Portable Spray Foam Machines to take on jobs that a normal rig will not work, The Portable XM is for you. 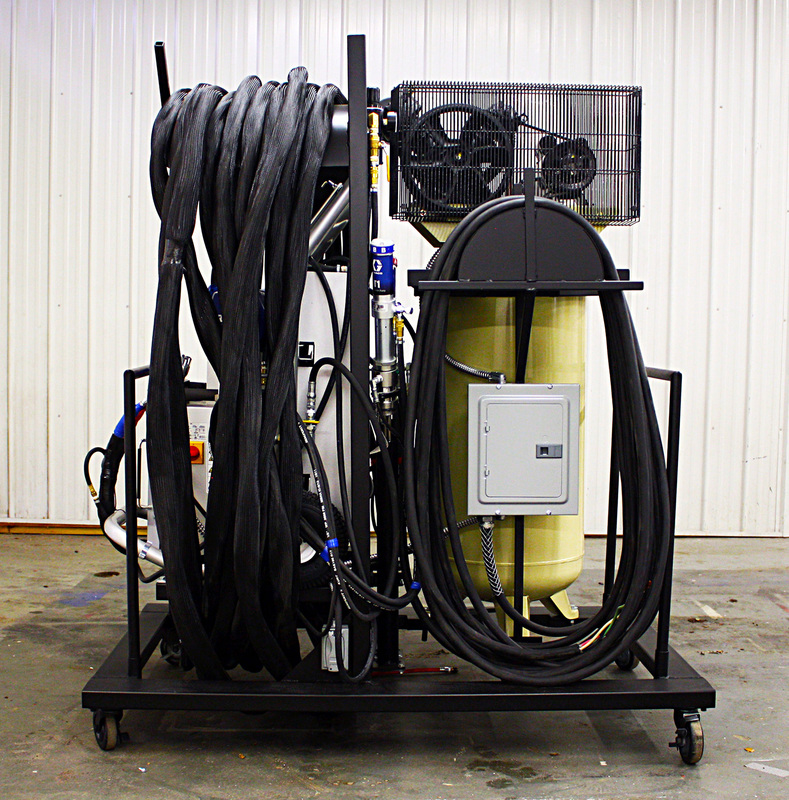 The XC Portable Spray Foam Machines can be customized and built on a cart platform. 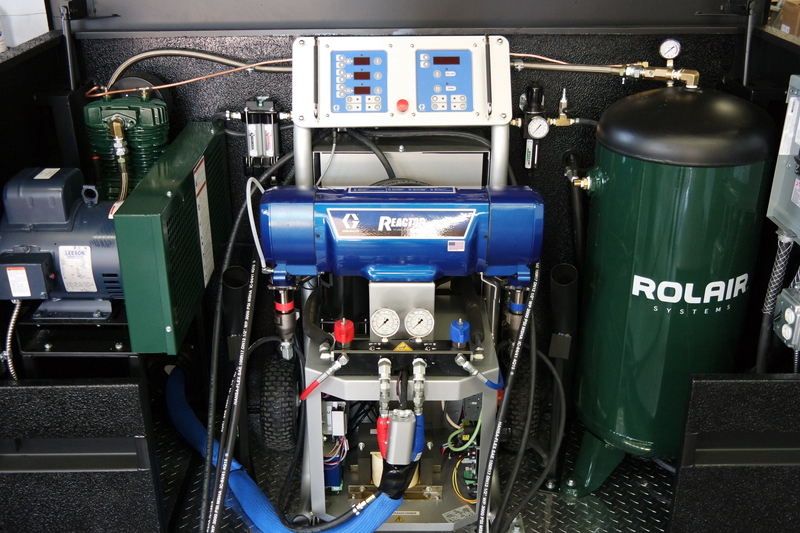 This means unlike its little brother, The XM Portable Spray Foam Machine, we can install a variety of different Graco Reactors and are not limited to the types of applications and higher outputs. 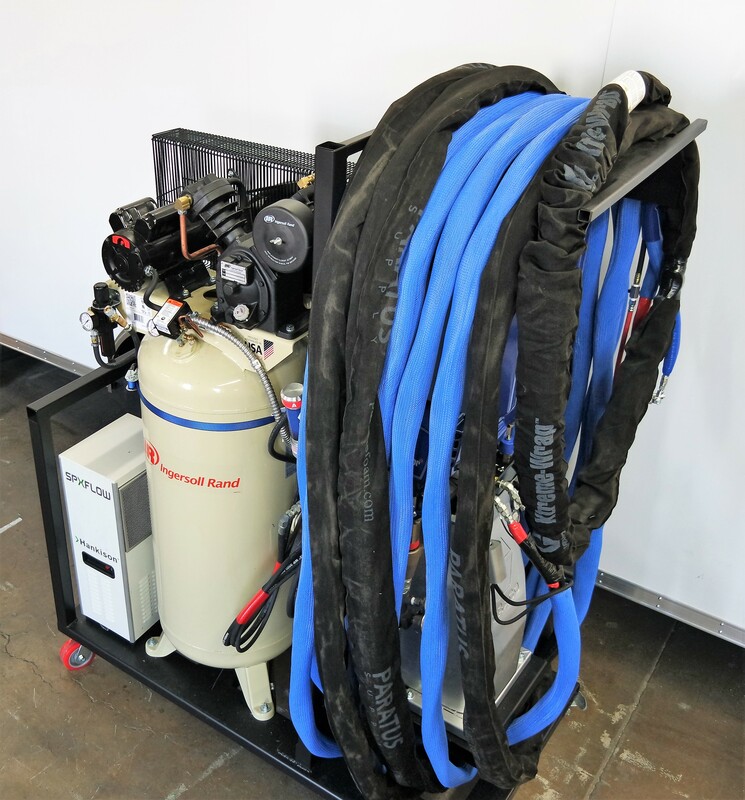 The XC Portable Spray Foam Cart can be custom to having on board compressors and drying systems or can also be just built with the Graco Spray Foam Equipment of your choice. 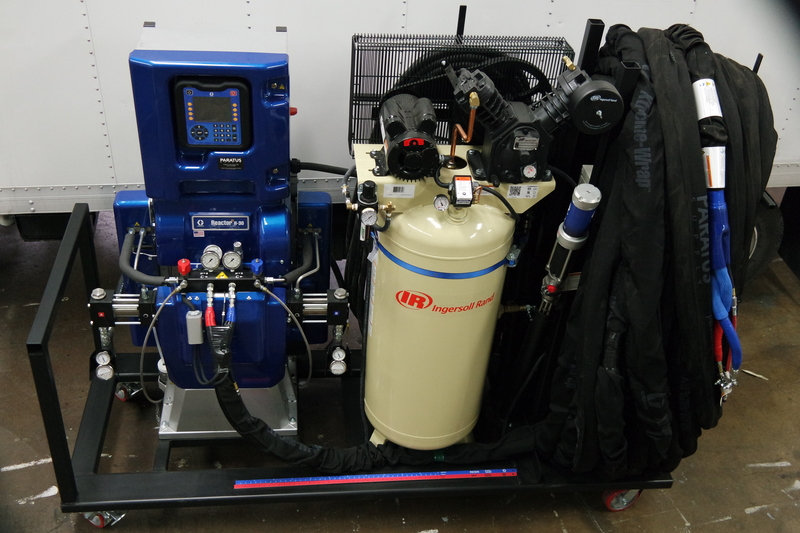 Choose from the Graco E-20, E-30, H-30, H-40, E-XP1, E-XP2, H-XP2, or H-XP3 Reactors and Reactor 2s. 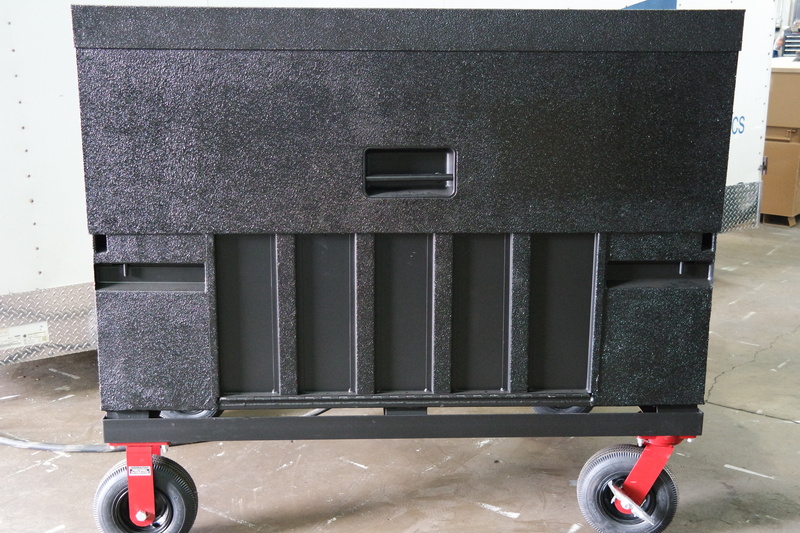 We can build this to specific dimensions if you need to fit into a certain door way or for different job sites. 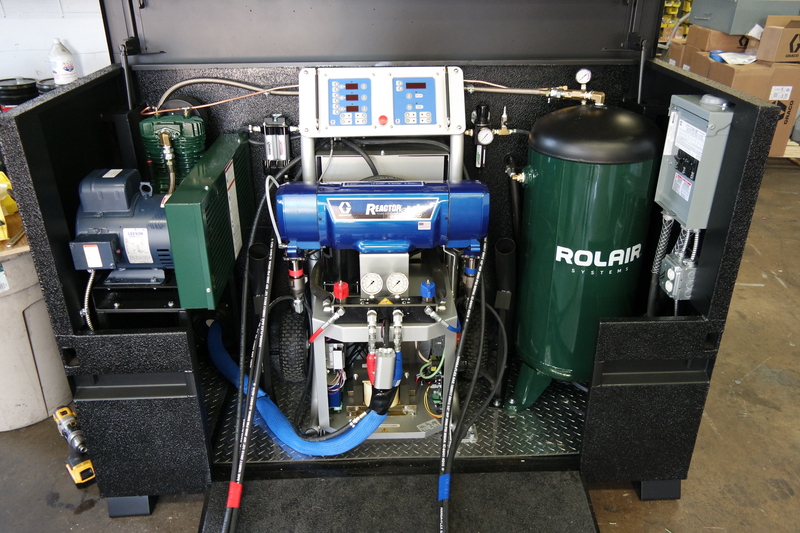 You select how you need it done and we will take on the task of making sure you are satisfied.